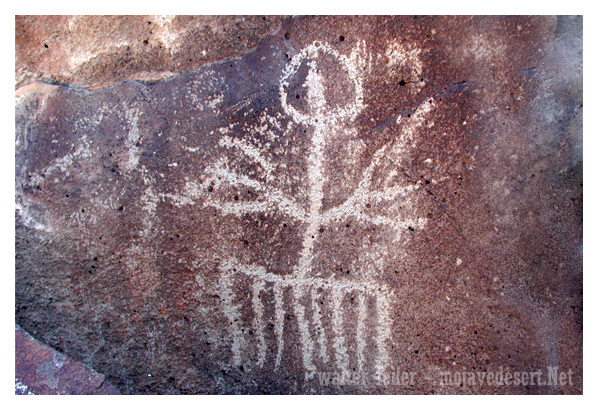 Rock art comes in two varieties, petroglyphs and pictographs. The difference between the two types is the manner in which they were made. Petroglyphs were pecked into the surface of the rock. Pictographs were painted on the rock. A coating of dark "desert varnish" on lighter sandstone provides the perfect medium for petroglyphs, which are the most common of the two types of rock art found. Geoglyphs and geoglyphic itaglios are another form of rock art found. Rocks are rearranged and stacked, usually over large areas in the case of geoglyphs. Itaglios are usually made by removing rocks or otherwise incising the design into the desert pavement. Rock art is both enduring and fragile. It has lasted hundreds of years; yet many panels have been recently defaced by graffiti. Climbing on panels can also damage the art, as can attempts to embellish the petroglyphs for photographic purposes. These practices are destructive and should not be done. Even the oils from our hands can damage these relics from ancient times, please refrain from touching them. There are many things that can add to a good experience visiting an archaeological site. Most important is leaving with the knowledge that you have taken part in learning about the past and have left the area in good condition for others to enjoy. The Arizona State Historic Preservation Office assembled a set of ethics for visiting archaeological sites. Following these tips will enhance your own experience and also that of the visitors who come after you. Rock circles or alignments are trying to tell a story, moving them "closes the book" without anyone having a chance to interpret what they mean. 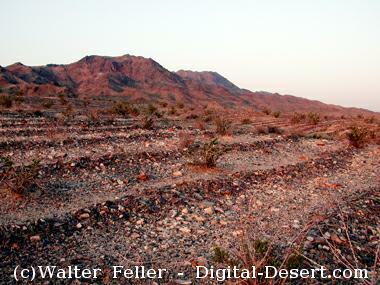 Walk lightly across desert pavement where your tracks could cause disturbance to geoglyphs or ancient paths/trails. If you spot an object of archaeological interest, please stop to examine and photograph the item if you like, but please do not move or disturb it. 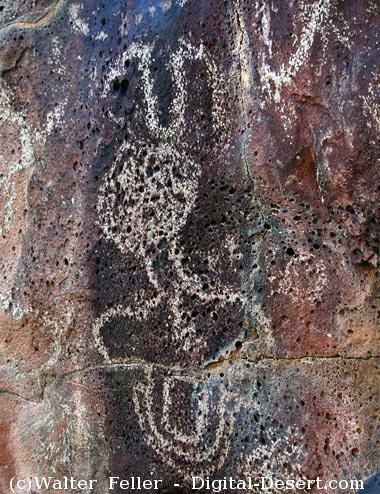 Ruins and petroglyphs are important to Indian people today just as they were hundreds of years ago. Altering the natural landscape can be offensive to contemporary tribal members who still visit these places as their ancestors did.